Varanasi is one of the most special places in India, and, undoubtly, one of the places that we are looking forward to the most. The holiest city of the hindus boosts a difficultly comparable atmosphere around this santity. 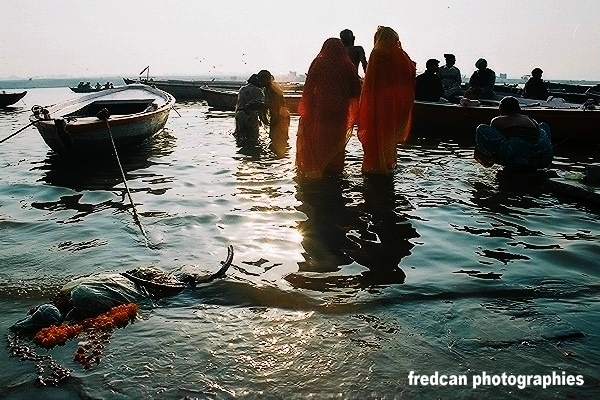 Practically speaking, it means that, according the hindu beliefs, the waters of the Ganges when it flows through Varanasi has the power to remit your sins when you swim in it. That's why we can see all the time people cleaning themselves and dipping into the water from the well known 'stairs' that descend to the river, which are called ghats. A swim here, by the way, is not specially reccommendable for pure hygienic reasons. It is also believed that if you die in this city your rencarnation is guaranteed. Many devotees, when they see their death close, come here to just spend their last days. 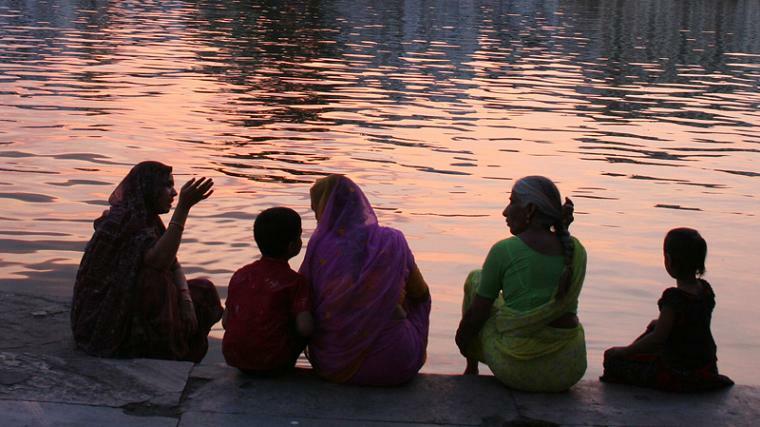 Is a very common vision to see old and sick people quietly and simply sitting on the ghats or the streets, just waiting to die. The contact with the death, here, is very natural. Between the multiple ghats by the side of the Ganges, there is one which is used almost exclusively to cremations, under the hindu ritual. And they are very common, so we will find them openly in front of us, in funeral pyres at the sight of everybody. 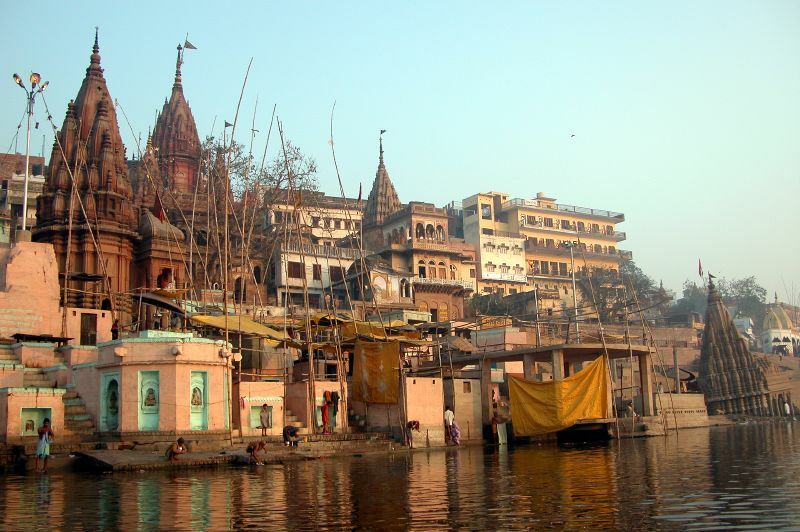 They say that Varanasi, called also Benares during the british rule, is one of the oldest continually inhabited cities on earth, given its strategical position next to the Ganges. And is not only important for the hindus. Also in this area, for example, is where mister Siddharta Gautama, de original Buddha, spent most of his life preaching, as we will see more properly in next 'chapter'. 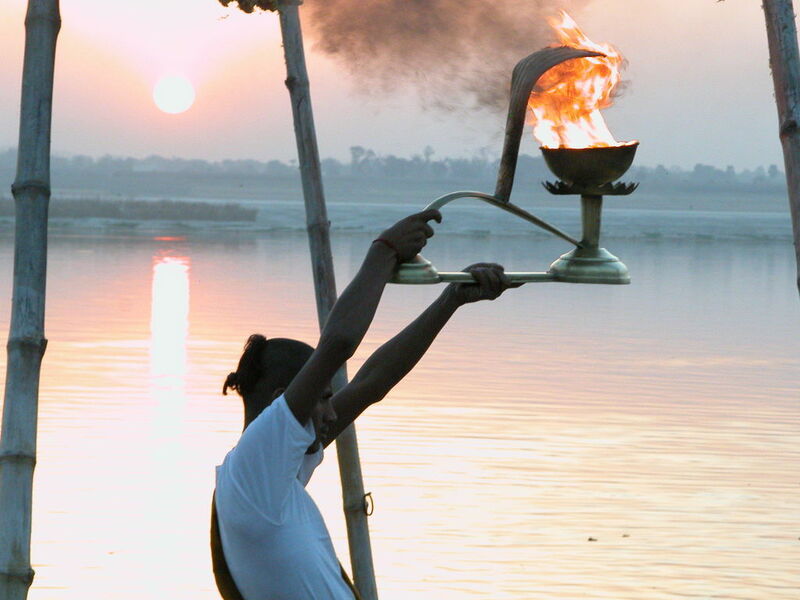 So Varanasi is a very spiritual city, with a so special activity that we presume fascinant. It is not any small, with over a milion inhabitants, and according to all references can be frenetic and, consequently, stressful. I guess is one of those places where we will be able to notice the huge contrasts we can find in India. There are not many hotels just next to the Ganges, and specially not many budget options, so we are quite satisfied on having found the Ganpati Guest House, with a good number of rooms around a central terrace overlooking the river and the ghats. From Agra there are around 600 kilometers, that will take all new year's eve to cover. We will get then in Varanasi at 8.15 in the morning of the first day of the year. Next stop in our trip will be Gaya, and most concretely Bodhgaya, some short 3 hours away, so we haven't decided yet in which exact moment we will take the train til there.